What are flagged time entries? Learn why some time entries may be flagged. 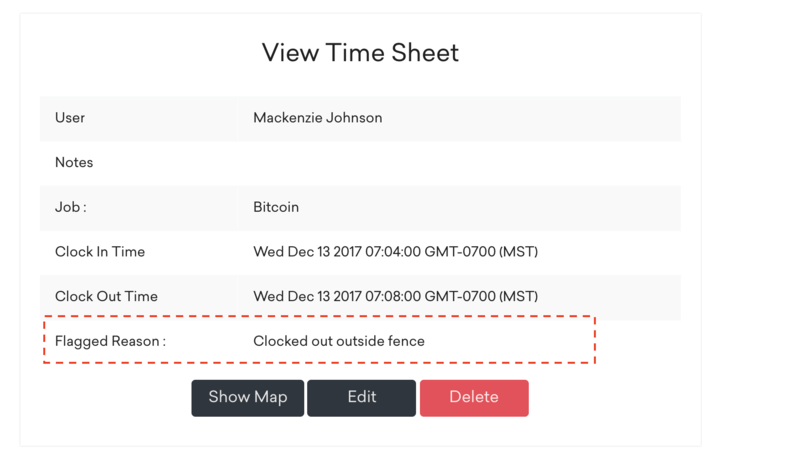 Time entries may be flagged in Timeero if a user clocks in/out of a job, outside of the geofence. To view the reason why the time entry was flagged, you can click on the details icon (eye icon). The reason why the time entry was flagged will be shown on the details page.